One of the things that I had decided to do in 2019 was to enter a few more photographic competitions and exhibitions. This had, however, not resulted in many entries, and by mid-March 2019, my only entry of the year to date had been in the annual exhibition of the Royal Photographic Society Nature group. 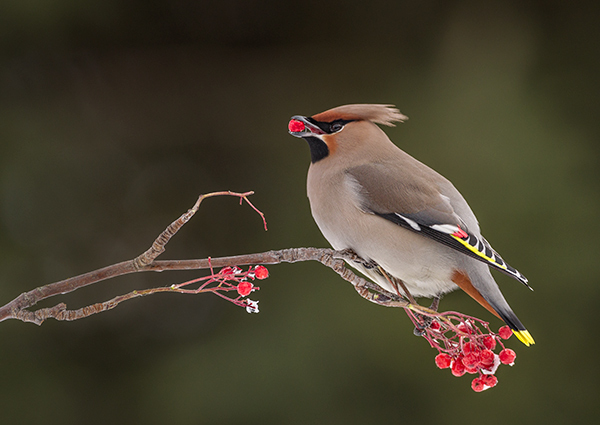 But I am pleased that I entered and I am delighted to report that when I got my results back, I was awarded the gold medal for this image of a Waxwing. I entered four digital images into the "all creatures" section and all four were accepted, but really pleased to have won the gold medal this year, especially as I have not entered this competition before.